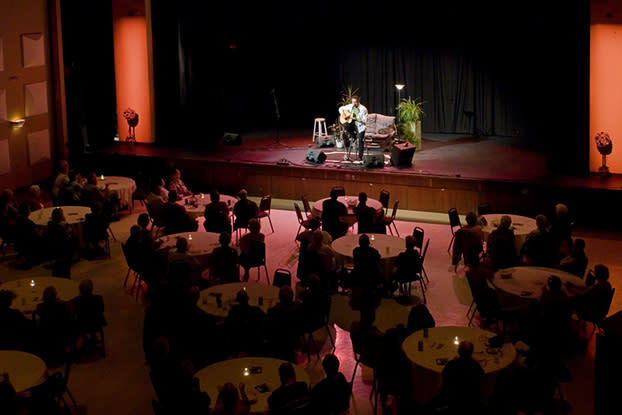 The William Glesby Centre is a 418 seat performing arts facility centrally located in Portage la Prairie’s Heritage Square. The Glesby presents a five performance MainStage Concert Series as well as a more intimate four performance CoffeeHouse Series, a Family Series in our yearly performance package. We also hold a number of special audience building performances. We are a multi-purpose facility designed with retractable seating. Our theatre can be configured for numerous other uses, such as business meetings, small trade shows and weddings. It has a state of the art sound system, large retractable projection screen, excellent acoustics, theatre performance lighting, sprung stage suitable for dance troupes and is wi-fi system equipped.